In NE Portland lives Thrive Sauce and Bowls, a real powerhouse of a place that does a bit of everything. They have the restaurant, a mobile food truck, they do catering, they make and sell their own hot sauces, and they even have t-shirts. This article brought to you by Thrive by providing complimentary food. Affiliate links included. See disclosure for more. 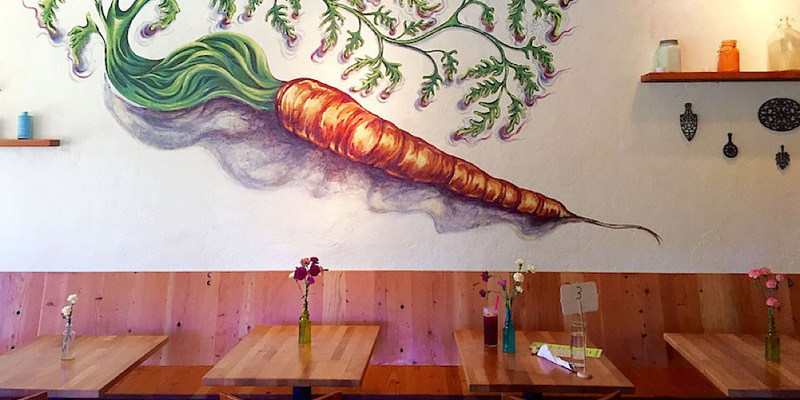 Thrive specializes in world-inspired farm to table cuisine, while showcasing the local, organic, and sustainable foods of the Pacific Northwest. And, everything they make is 100% gluten-free. They have dishes for omnivores, vegetarian and vegans. Choose from small bites, salad bowls, noodle bowls and rice bowls. I love options so one of my favorite things about their menu is you can pick exactly what you want in your meal. You can add in tempeh, add veggies, add beans, sub quinoa for rice, and of course, try out all the hot sauces. Create your own dish! Thrive has a full bar of local beers and wines. 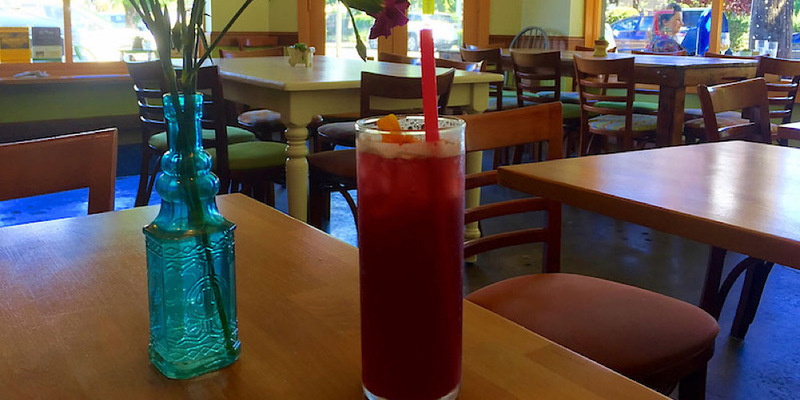 They create interesting house cocktails, with syrups and infusions they make in house, and original made to order sodas, like Citrus Lemongrass, Pear Cardamom, Orange Sage, and Kaffir, Lemon and Ginger. They had a local Marionberry soda when I went, which I had to try that because it's super duper special to Oregon, since they created it. This one was made from berries grown just blocks away from the restaurant. Can't get much more local than that! 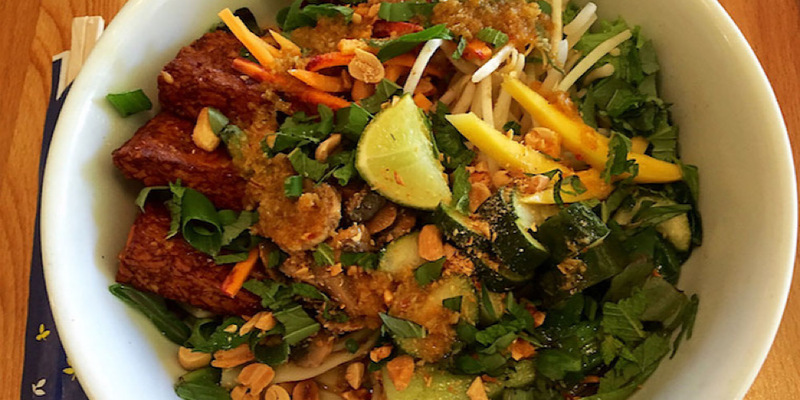 It was hard to decide what to order but I felt I definitely had to try the one vegan dish that really stood out, the Vietnamese Sweet-Chili Lemongrass Noodle Bowl. The bowl and the sauce was a zesty flavor explosion! There was a base of chewy noodles, then sautéed mushrooms, carrots and bean sprouts. Bright greens of romaine lettuce, bok choy, sliced scallions, and cucumber popped out. The real flavor kicks were crunchy peanuts and slices of soft sweet mango, completed with fresh herbs of mint and basil and a lime wedge on top. I also added in their organic tempeh, which they marinate in house to give it an extra kick. Definitely a filling bowl of a meal. And with the hot sauces mixed in, it's a delight for your mouth! Tastes of sweet, spicy, savory and umami all magically blended together. Thrive has 2 sauces to yummy up any food you feel like putting them on. The Special Sauce is sweet, tangy, and just a bit of heat. 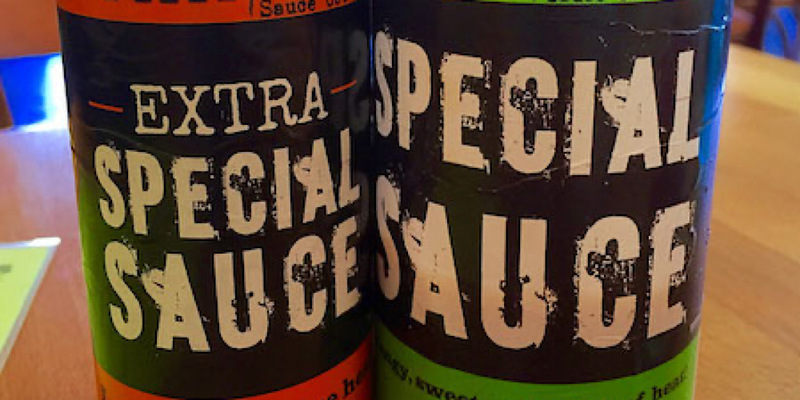 The Extra Special Sauce is the Special Sauce, kicked up a notch. It definitely packs some heat. These guys are both super flavorful but neither will burn your mouth off, so don't worry. They're made of different combinations of habanero peppers, plum tomatoes, onion, garlic, cider vinegar, agave, mustard, oil and salt. Both sauces are 100% vegan, gluten-free and all natural. And delicious! It should be noted here, that Portland is a city that loves her hot sauces. You see the everywhere, especially the ever-hipster Sriracha, which is utterly ubiquitous, both in bottles and in funky arts-and-craft-style lighting fixtures. Yeah. Overdone. So, that makes these guys extra special because they stand out from all the rest by offering milder, sweeter, and more unique flavor profiles (and no fire-mouth!). Thrive Sauce and Bowls brick and mortar location is no more, but they're still available for catering with their food truck!